Home » Entertainment & Technology » Have a Coop And Cami Christmas with Your Kids! 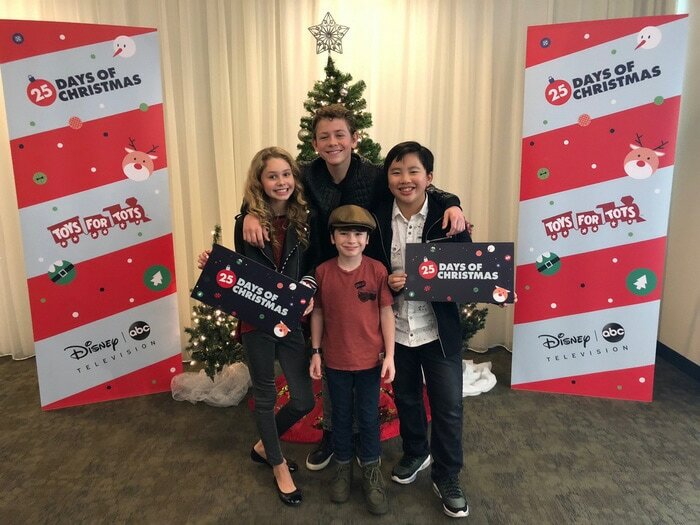 Carrigan was thrilled to find out that I was going to be hanging out with the cast of “Coop and Cami Ask the World” as part of my coverage of Disney Channel’s 25 Days of Christmas this year! It was a blast too! We celebrated a bit of a Coop and Cami Christmas with a screening of their holiday episode and ornament making fun! Disney covered my expenses for the trip in exchange for sharing about what’s coming up on Disney Channel and “Coop and Cami Ask the World” this December! 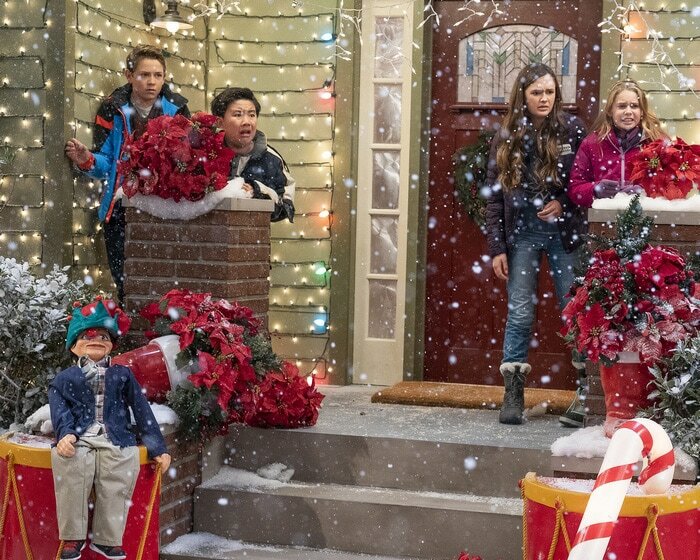 In the holiday-themed episode “Would You Wrather Get a Moose Angry” of Disney Channel’s “Coop and Cami As the World,” the kids work together to try and make Jenna’s wish of a classic Wrather Christmas come true, but a major snowstorm and a disgruntled moose disrupt their holiday plans! I have to admit that I chuckled quite a few times while watching the episode. I cannot wait to watch it with Carrigan. She’s a huge fan of the show and of the holidays, so I think we’re going to have a ton of fun. In the episode, the family does all kinds of holiday activities and it made me want to plan them all for my family too! So beware, after you watch, you might find yourself breaking out the gingerbread houses and decorating the house even more! If you’ve never seen “Coop and Cami Ask the World”, it’s a family comedy that follows Cooper (Coop) and Cameron (Cami) Wrather who co-host Coop’s online show, “Would You Wrather.” Every day is an adventure in the lives of the two middle school students. With the help of their little brother Ollie and Coop’s best friend Fred, the duo fields offbeat questions and results to the show’s millions of followers (aka Wratherheads) who help them solve problems! 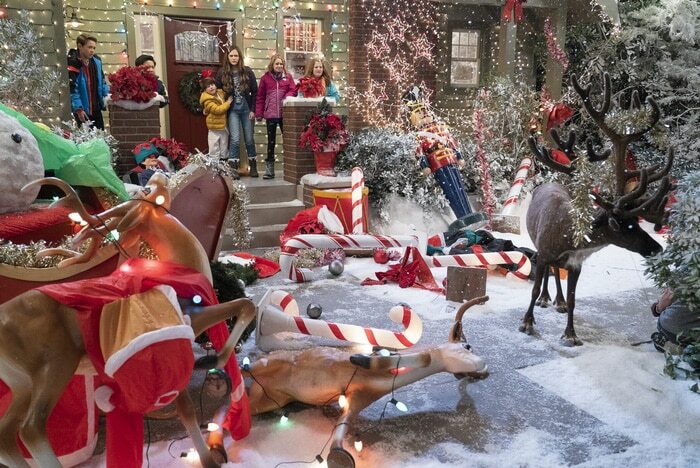 The first question we had was… Is the reindeer in the episode real? It was a good question, with all of the technology televisions shows have these days, we were all wondering! The kids revealed that he was real! Paxton Booth gushed about how exciting it was because they got to pet him and take photos with him. I have to admit, it would be pretty cool to hang out with a reindeer at work, right? I love learning about the holiday traditions that different people celebrate and it was great to hear what the kids did each year. Dakota Lotus (Coop) – He loves spending time with his family and decorating the tree. Ruby Rose Turner as (Cami) – She mentioned that she loves going around to look at Christmas lights. Albert Tsai (Fred) – He loves putting up the tree and the other decor and spending time with his family. The kids all spoke so highly of their families. It was wonderful to hear and makes me glad that my kids love the show! We also asked them a Would You Rather question along the lines of the ones Coop and Cami ask on the show. When it comes to Christmas, would you rather stay up late on Christmas Eve or wake up early on Christmas morning? Dakota Lotus (Coop) – He goes to bed early and wakes up early. Ruby Rose Turner as (Cami) – She does the same because she wants to be awake for Christmas morning. Paxton Booth (Ollie) – He stays up late to spend as much time as he can with his grandmother. Albert Tsai (Fred) – Albert likes to “split the difference” and stay up a little later than usual but also make sure he gets up on the early side. 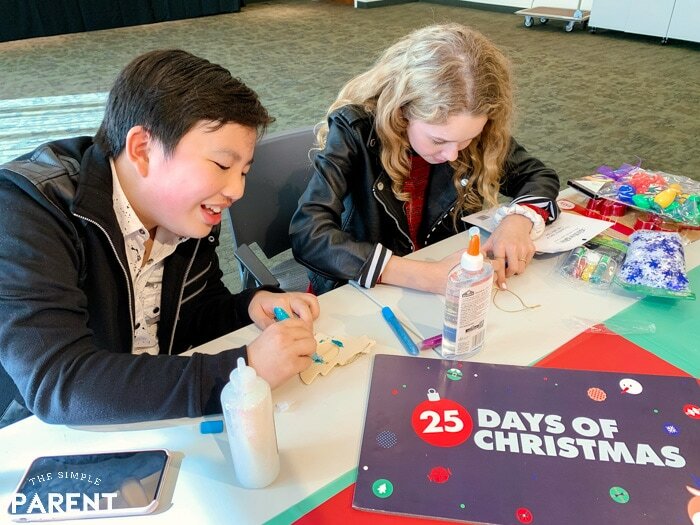 We also had a chance to decorate our own ornaments as part of our 25 Days of Christmas fun with the talent from Disney Channel, Freeform, and ABC. Everyone had the same basic wooden Christmas tree ornament and tons of crafting supplies. Everyone decorated and designed their ornaments and then the talent each chose their favorite. 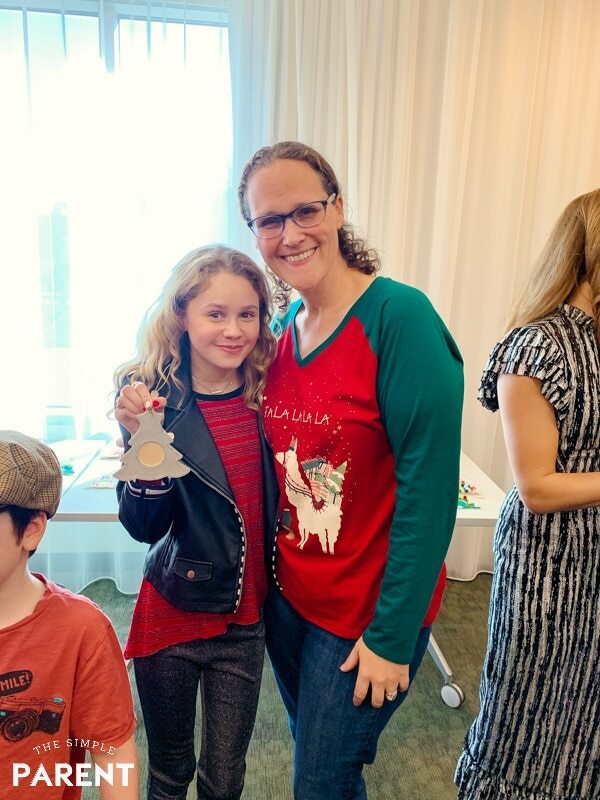 Carrigan was over the moon when she found out that Ruby Rose Turner (“that’s Cami mom!”) had chosen my ornament as her favorite! It was definitely a fun day for all of us!